Rolla “Mac” McIntyre Dyer III, 65, entered eternal life on Sunday, January 20, 2019 at Baptist Health Floyd. 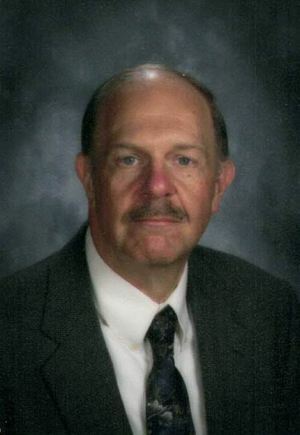 He served his country honorably in the United States Marine Corps and had recently retired from West Clark Community Schools as Associate Superintendant. Mac was a member of the Indiana CPA Society and the American Institute of Certified Public Accountants. He was preceded in death by his mother, Jenny Jean Dyer. Surviving are his loving wife of 43 years, Rosanna Dyer, Sellersburg, son, Rolla Dyer IV, Indianapolis, daughter, Sarah (James) Smith, Sellersburg, father, Rolla Dyer II, Clarksville, brother, Jeffrey (Vicki) Dyer, Georgia, sister, Rhoda (Frank) Fort, Alabama and one grandson, Luke Smith. Funeral services will be held 6PM Thursday at the Garr Funeral Home in Sellersburg. Visitation will be Thursday from 11AM until the time of service. In lieu of flowers, memorial donations can be made to the American Cancer Society, 1640 Lyndon Farm Court, Suite 104, Louisville, KY 40223. Online condolences can be made at www.garrfuneralservices.com.